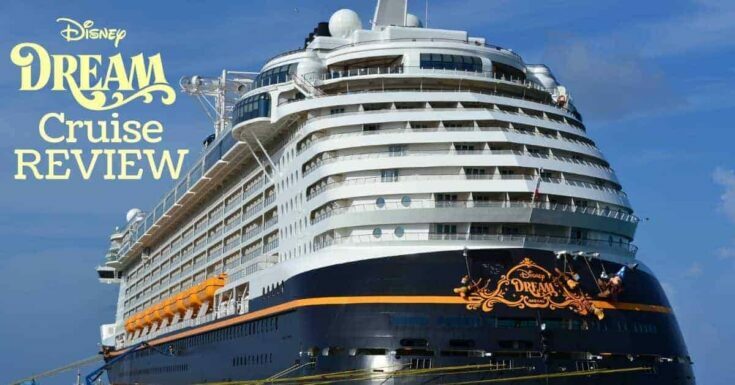 If you are taking a Disney Cruise, you will most likely experience at least one day at sea. This is a great time to get to fully experience all that makes this cruise line #1 in the industry. Wondering how you’ll stay busy? 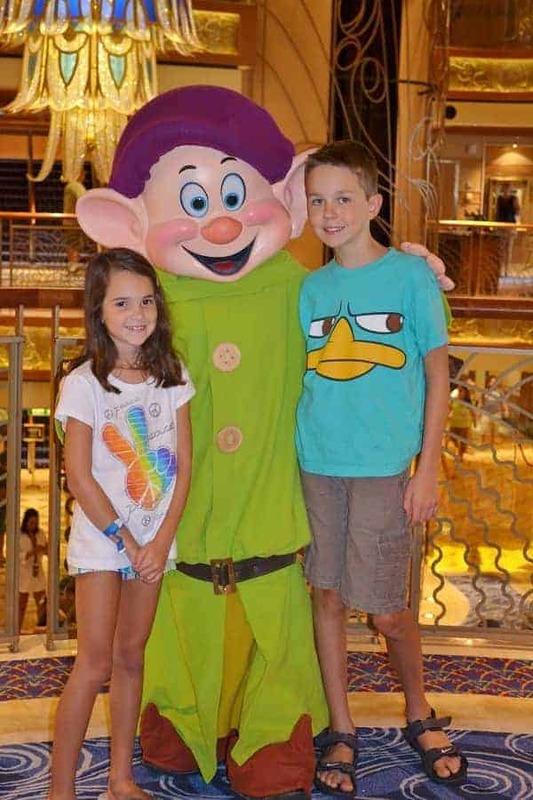 We’ve got some great Disney Dream cruise tips to help you make the most of your day at sea! You won’t want to spend too much time out in the sun because there will be so much else to do with your day. 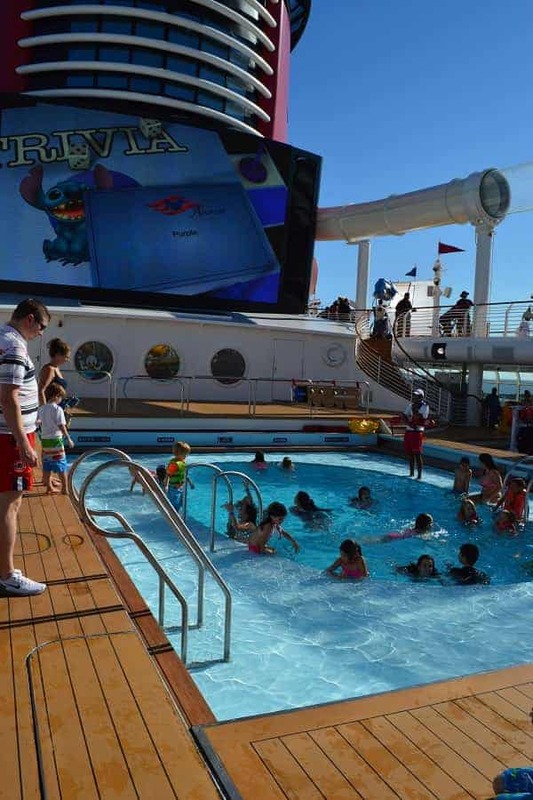 Besides just catching some rays you can enjoy poolside trivia and movies on the Funnel Vision screen. One tip you should know about going to the pool is that there are daily drink specials. These drinks are far cheaper than any other drink on board and they are delicious! This is the only slide that will take you over the ocean and everyone wants to ride it. Just like the pool, it can get crowded. There will be a lot of people waiting in line for the Aquaduck during a day at sea. You will want to make a point to get there early in the day if you want to ride it without standing in line for too long. A favorite Disney Dream tip for the Aquaduck is to ride it in the evening when the lines are almost never more than a few minutes! There are always movies playing on the Disney Dream. Either venture to the Buena Vista theater or watch one poolside. Remember, there is no extra fee for movies on the Disney Cruise Line and they even show first run movies! 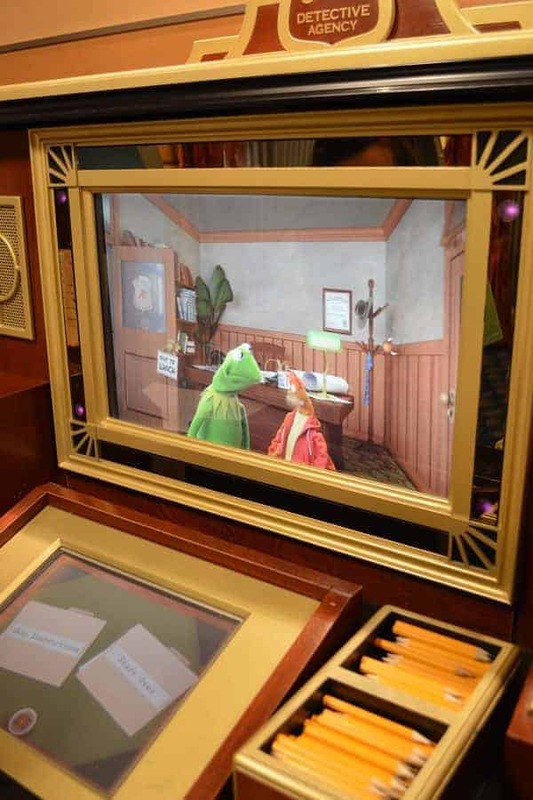 There are a ton of opportunities for you to meet characters, and the day at sea is where you will find many. You may even find some characters you’ve never seen before! Check your Disney navigators for times and arrive a few minutes early to line up. 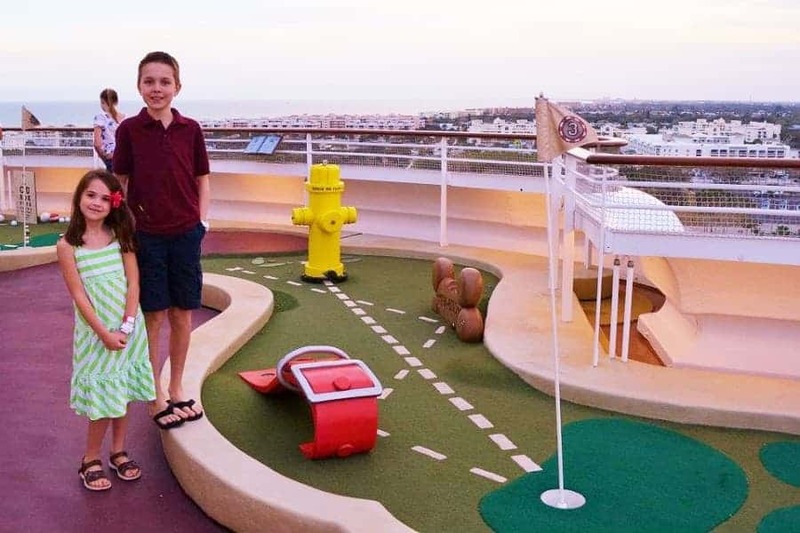 Disney Dream has its own mini golf course! It is small, but is fun and built around a Goofy theme. Its just play as you go, no reservation needed! Best of all, it is free. 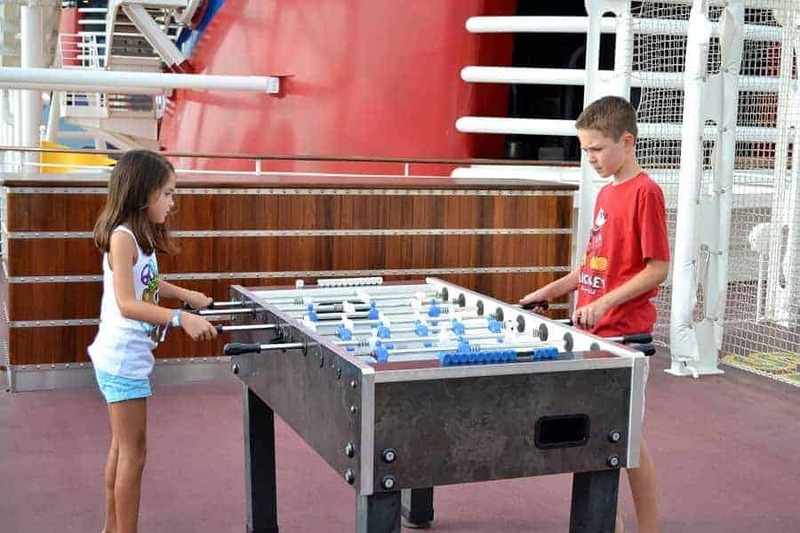 There are several ping pong tables and even a couple foosball tables for you to play on the sports deck. There is no reserving the tables, just look for an available one and enjoy your time. One game that everyone seems to enjoy (even if they don’t know all the rules) is shuffleboard. You will find them on just about every floor and they are hardly ever used, but so much fun to play! Your goal is to get the puck as far down the board as possible, without having it fall off the far end. The rules usually require that you alternately take turns. As you play, you may bump or knock off your opponent’s pucks. That is okay! It prevents them from scoring! Usually the most common games are played either to 15 or 21 points. This interactive mystery game is so much fun for kids and it gives you a reason to explore the ship and go to some places you might not even known existed! You don’t have to finish the game in an hour. You can keep it going the entire length of your cruise if you choose. 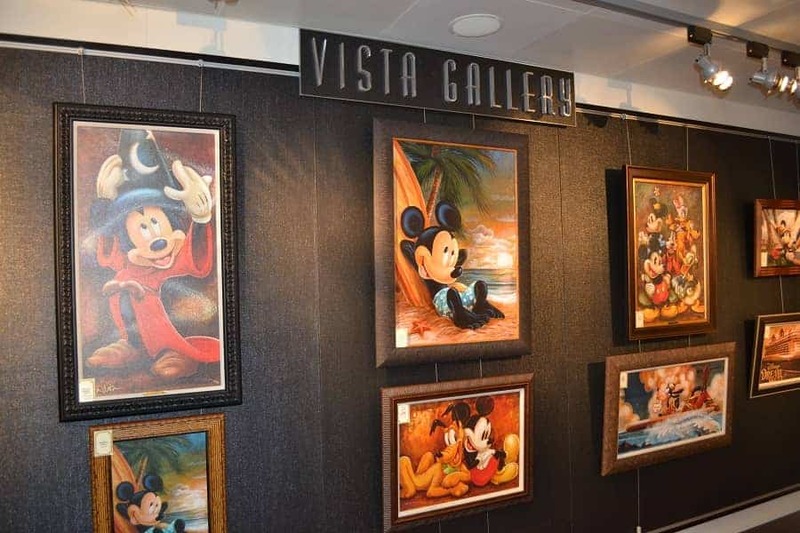 Even if you can’t afford to buy a piece of Disney art, enjoy some time looking at all the amazing artwork! You will find beautiful Disney themed pieces like ones painted by master artist, Thomas Kinkade. While many of the things you can do during your day at sea on a Disney Dream Cruise don’t cost money, Bingo does. Even though it is a bit pricey, it is a lot of fun! One Disney Dream tip that I can give is to splurge for the hand held device. That is how most people win. While on board, you may find that there are art & craft opportunities, learn to draw events and even some cooking opportunities. Most of these are FREE and you usually walk away with something you can take home with you. We really love when we get a day at sea on a Disney Dream Cruise, and it’s even better when you get two days at sea. 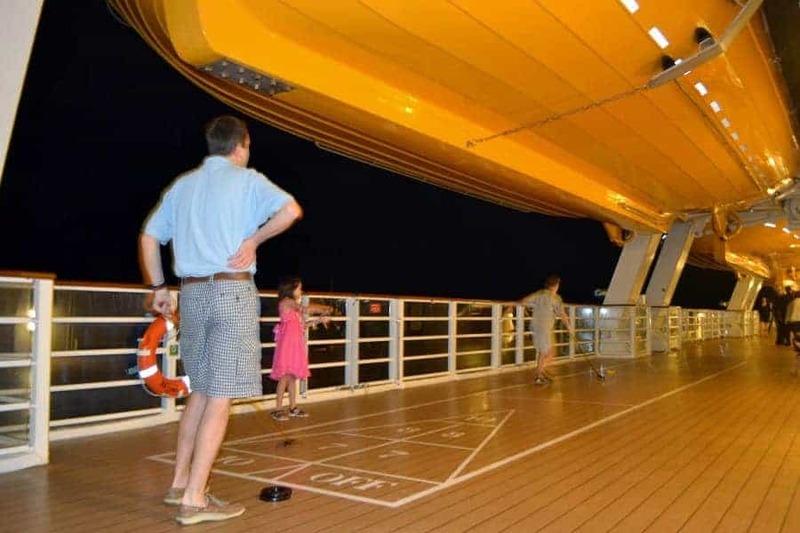 This ship has so much for your family to do that you will NEVER get bored! 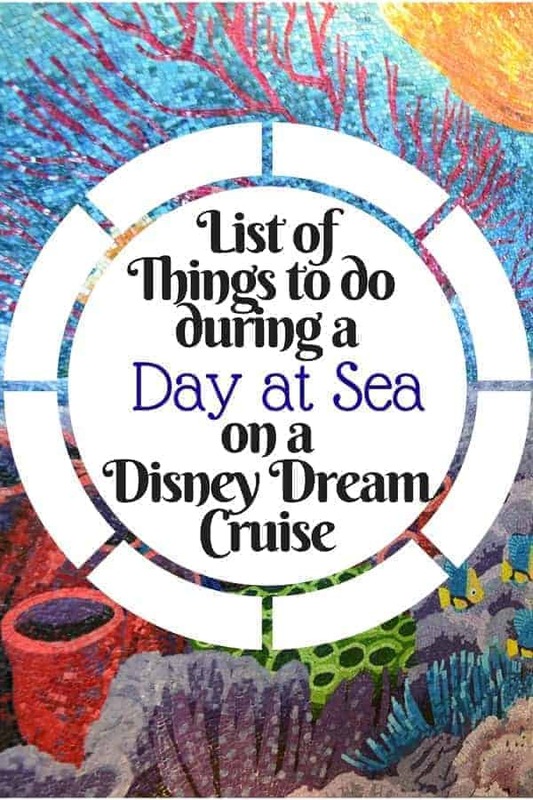 Do you Disney Dream tips on what to do on a day at sea? 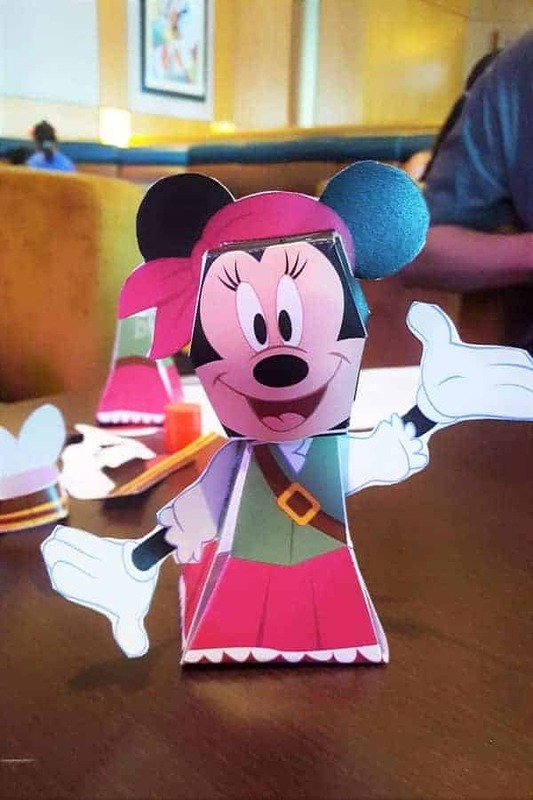 Read more about taking a Disney Cruise including more Disney Dream Cruise tips with these informative posts. I loved the towel making class. It was so much fun making all the cute animals we saw all week in our stateroom!